● Kyle Busch started fourth and finished second. 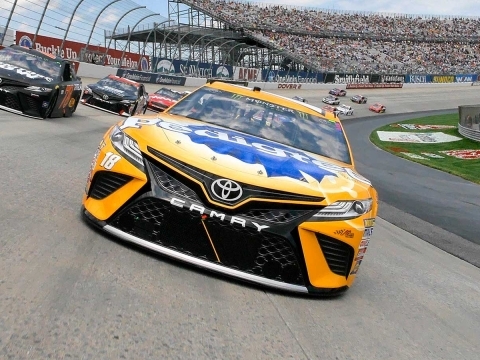 ● Within the first 10 laps Busch noted that a bad vibration had developed on the PEDIGREE® Toyota. Crew chief Adam Stevens directed the driver to monitor and report if the situation worsened. Because he could feel the vibration even during caution laps, Busch reported that he believed the problem stemmed from the drivetrain. 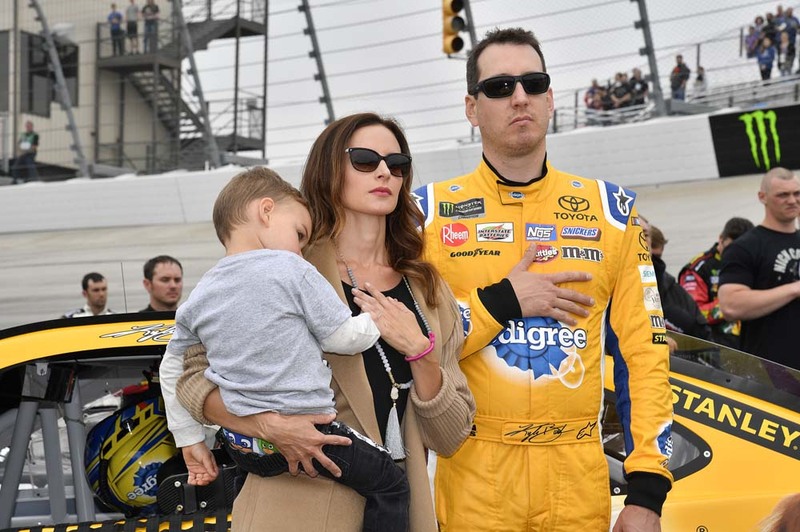 ● Aside from the vibration, Busch noted that the car was handling on the tight side and needed to turn better. The team made air pressure adjustments, changed four tires and added fuel during a caution on lap 20. The team executed a good pit stop, but a few teams elected to stay out during the caution, which placed Busch in eighth for the restart. He was able to make up the positions and was in fourth place by lap 57. 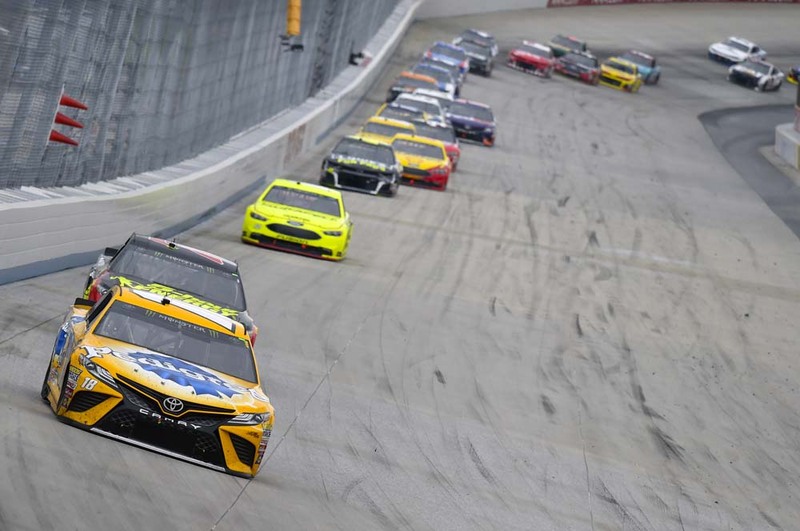 ● As the laps in Stage 1 wound down, teams up and down pit road elected to stretch their fuel mileage rather than make a pit stop and risk going down a lap. Busch and the No. 18 team gambled, making it work to their benefit. The Las Vegas native was in second place by the time Stage 1 concluded. ● During the caution the team made an air pressure adjustment, changed four tires and added fuel, returning the No. 18 Toyota to the track in third place for the start of Stage 2. ● Busch started third and finished third. ● The 2015 NASCAR Cup Series champion quietly logged laps to begin Stage 2. He was still in third place when the caution was displayed on lap 153 for a spinning car. He came down pit road for four tires and fuel and maintained third place for the restart on lap 158. ● Busch dropped a couple of positions to fifth place during the first few laps after the restart and settled in there. About lap 162 he reported that the car was handling on the tight side – the tightest it had been. As the stage continued however, the car started to lose grip, creating more of a loose-handling situation. Despite the difficulty with the car’s handling, he was able to reel back in the cars that had passed him and was back in third place by lap 181. ● While the handling issues persisted, Busch was able to maintain third place through to the conclusion of Stage 2. ● The team took advantage of the stage break to make chassis and air pressure adjustments, change four tires and add fuel. Quick pit work allowed Busch to maintain third place for the start of the third and final stage. ● Busch started third and finished 35th. 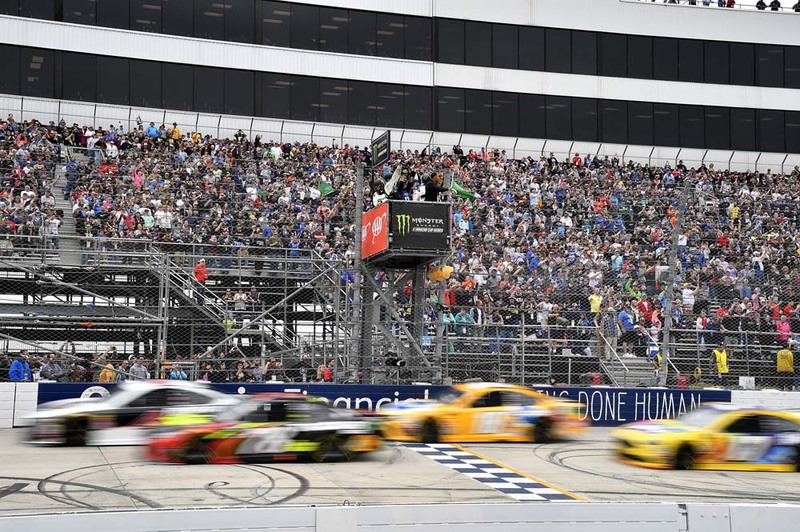 ● As Stage 3 unfolded, Busch once again quietly logged laps, but he reported that the vibration continued, making it difficult to even hold onto the knob on the shifter, let alone make a good handling diagnosis. ● Things deteriorated on lap 259 when the drivetrain broke. NASCAR displayed the caution, and Busch was able to make his way to the garage. The team had hopes of being able to make a repair and get back on the track, but the situation proved terminal. Busch was forced to retire from the race, finishing the day in 35th place. ● Busch earned a total of 17 bonus points – nine points for finishing second in Stage 1 and eight points for finishing third in Stage 2. 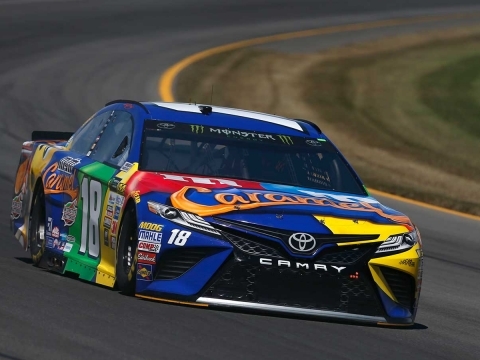 Next Up: The next event on the Monster Energy NASCAR Cup Series schedule is the Kansas 400 on Saturday, May 12 at Kansas Speedway in Kansas City. The race starts at 8 p.m. EDT with live coverage provided by FS1. © 2019 Kyle Busch Motorsports, Inc. All Rights Reserved. All other trademarks are trademarks of their respective owners.